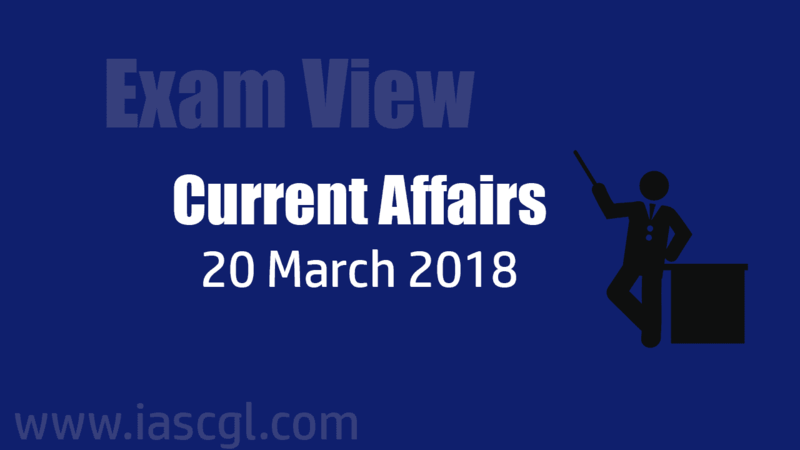 Current Affair of 20 March 2018, Exam View. This program was formulated in 2009,is a Centrally Sponsored for Adult Education and Skill Development.It is being implemented in rural areas 26 States and one UT that had adult female literacy rate of 50 per cent and below as per Census 2001. It is seeking to reduce the gap between male and female literacy to not more than 10 percentage points. Objective of this programm is achieving 80% literacy level at national level, by focusing on adult women literacy. The Government of India is in the process of formulating a Scheme ‘Kisan Urja Suraksha evam Utthaan Mahabhiyan (KUSUM)’. It’s a farmer-oriented solar power scheme that will allow setting up grid-connected solar plants in rural areas and off-grid solar pumps. Installation of grid-connected solar power plants each of capacity up to 2 MW in the rural areas, over five years. It will also have provisions for solarization of tube wells and lift irrigation projects. Pobitora Wildlife Sanctuary is situated in the flood plains of River Brahmaputra in the district of Morigaon, Assam, India. It harbors world's highest density of rhinoceros - 102 Rhinos . In addition it has second highest concentration of Rhino in Assam after Kaziranga National Park. Purva Barve won the women’s singles (Under-19) title at the Israel Junior badminton tournament 2018 held in Rishon LeZion. The title is her first in 2018 and third overall. Earlier she won the Israel Junior 2017, Italian Junior International 2017 apart from a bronze at the Russian Junior White Nights 2017. On March 19, The Hon’ble President of India Shri Ram Nath Kovind inaugurated the Festival of Innovation and Entrepreneurship (FINE) organised by the Rashtrapati Bhavan in association with the National Innovation Foundation (NIF) India and the Department of Science and Technology, Government of India. The festival aims to celebrate creativity and innovations and is open to the public from 19 to 23 March from noon to 5 pm at the Rashtrapati Bhavan. It has about 250 exhibits by the award winners, innovators and entrepreneurs. Nepal cricket team was given One-Day International (ODI) status for the first time ever after its six-wicket win over Papua New Guinea in the World Cup Qualifiers. Nepal was given the Affiliate status by the ICC first in 1988 and was later promoted to the Associate rank in 1996. In 2008, Nepal was included in World Cricket League Division 5, where it finished on the third spot. President Ram Nath Kovind released Rs 1,000 and Rs 10 commemorative coins on the occasion of Nabakalebar festival in a function held in Puri, Odisha. The government had announced the release of the coins marking the festival which is a symbolic recreation of sibling deities — Lord Jagannath, Balabhadra and Devi Subhadra.